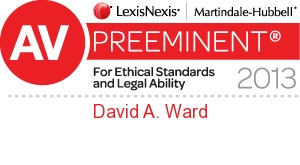 Dedicated to the practice of civil trial law, Ward Law has the expertise and skill necessary to help our clients succeed in this complex arena. Defending claims against engineers and architects, we are at the forefront of knowledge concerning professional liability. Today’s highly regulated employment marketplace demands that employers must engage a firm with the latest knowledge and experience. The Ward Law Firm is a team of experienced litigation attorneys based in The Woodlands, Texas.